We stumbled upon Yuichi, who showcased a casual-cool layered street style while out in Harajuku. 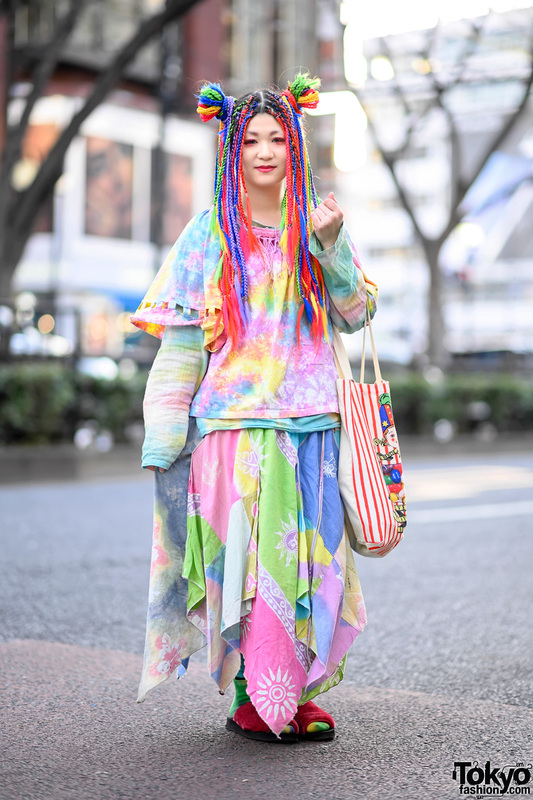 The 18-year-old student donned layered tops from Kinji and Flamingo. He wore a red plaid button-down shirt, a red sweater, and a yellow jacket with large snap button closures. 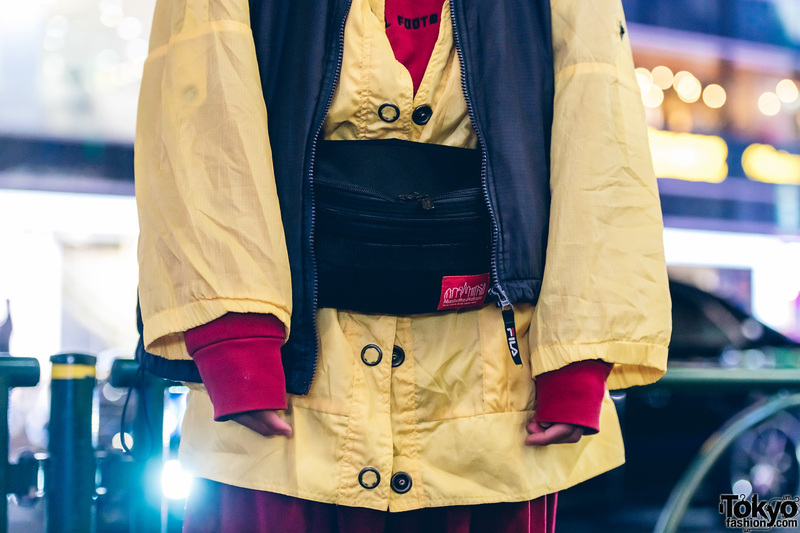 Yuichi also wore a black FILA vest, which featured red trims and a front zip closure. 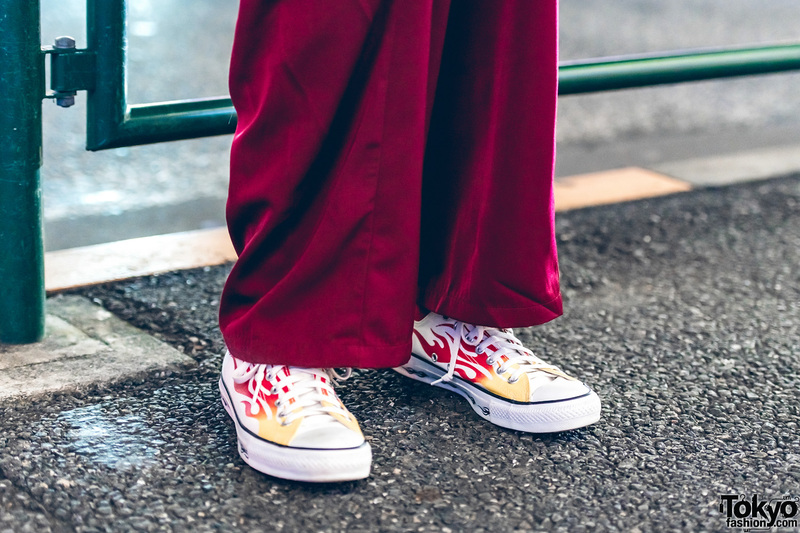 He styled them with vintage maroon pants, a black Manhattan Portage fanny pack, and white Converse sneakers with a flame print. 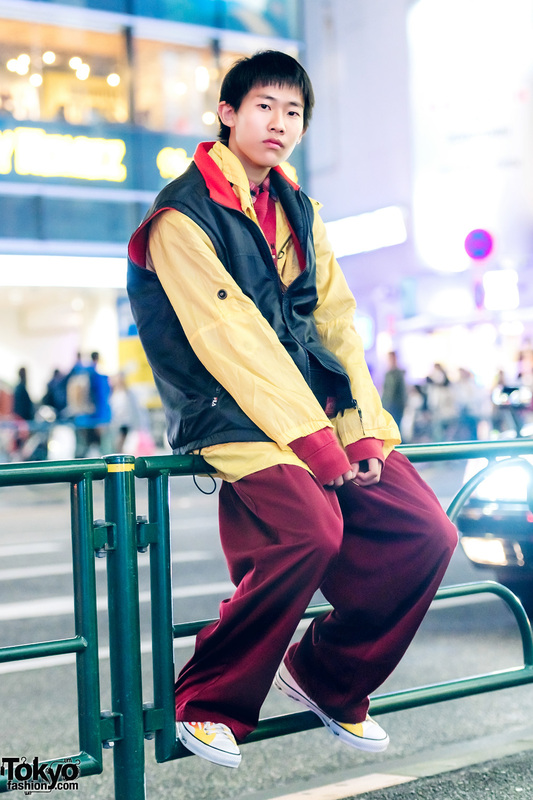 Yuichi likes shopping at Banny and listening to hip hop music. 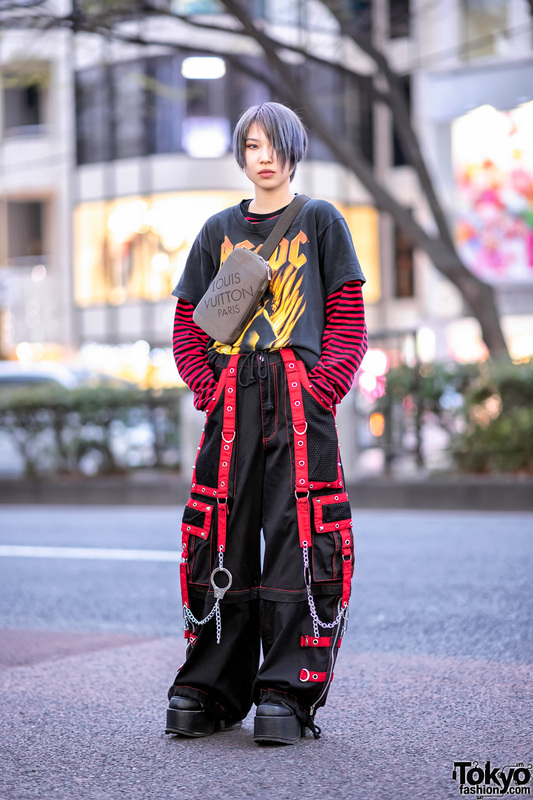 For more on Yuichi, follow him on Instagram.